As we talked on the phone yesterday afternoon, I was telling her what I had planned for the blog this week. 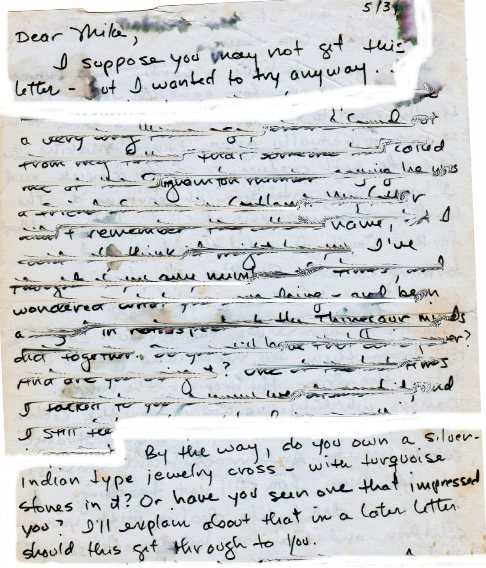 It’s a story about an old letter I’ve kept over the years. OK, I guess I have a problem. Listen, for those of you reading I know what I’m about to say will probably sound strange. It is a little out there, but it really did happen, just this way . . . and now I feel obligated to tell the story. It began back at SUNY Cortland in upstate New York, when I was bartending at The Mug. At that time, Joey (Joanne Payden) and I spent a lot of time together. We met in college and became really close friends . . . and we had this weird mental connection. It’s hard to explain, but sometimes she’d look at me and know what I was about to say . . . then beat me too it. She’d say it first. Sometimes it was a little unnerving. Once, I swear I heard her thoughts just as she was about to speak It was as though I heard the words inside my head before she said them . . . it was so weird. I repeated the unspoken words out loud to her, holding onto the back of a chair because the room seemed to be spinning. When I looked over at her, she was sitting on the bed with her arms wrapped around her bent knees, rocking herself back and forth. Back at Cortland State, Joey graduated and moved to Colorado, and somehow we lost contact. It would take a guy named “Harpo” — and a trip cross-country to California and back — to put Joey and I in touch again. Geoffery Last (everyone called him “Harpo”) showed up at The Mug around two years after Joey left. He was an old frat buddy of mine from Beta Phi Epsilon and he was a wild man, with a full beard and shaggy head of brown hair. Harpo had gone to Chicago after graduation to work for some large sporting goods corporation. He wore a suit and tie, the whole corporate deal. Two years later, he quit that job to become a crew member on some retired executive’s yacht. He and the rest of the crew were paid to sail around the world. When he came back, he bought an over-sized van and had the back end converted into comfortable sleeping quarters, complete with carpeting and surround-sound stereo. He spent the next year traveling all over the United States. He went wherever he wanted, and stayed as long as he wanted — all this before he turned twenty-five. Now he was in Cortland to get me out of my “rut”, as he called it. He had a plan that the two of us should move to Boston. So I quit The Mug, leaving my good buddy Jim Fennell to run the place — Harpo and I drove to Boston to find an apartment. While in Boston, we met two nurses and ended up staying with them while we looked for our own place. We were at their neighborhood bar one night, when Harpo said it was too bad that I was going straight from Cortland to Boston, . . . that I’d never seen the rest of the country. 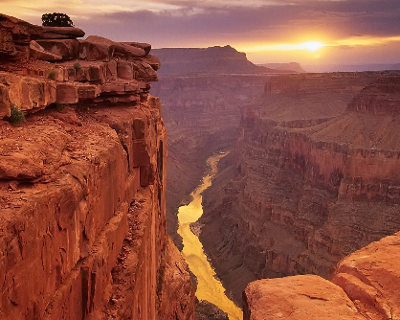 “He’s never been to the Grand Canyon,“ he said, as the nurses listened. Neither of them had been there, either. A few more beers, and Harpo came up with a plan that we should all hop in his van and go see the Grand Canyon. One of the nurses was leaving her current job, and she could take a month off before finding a new one. The other nurse could take an extra week of vacation time . . . that gave each of them four weeks free. Harpo and I had no commitments . . . what was stopping us? Two weeks later the four of us were on the road, headed west in Harpo’s van. “At least I’ll have a chance to look up Joey when we hit Colorado,” I thought when it was my turn to drive. Before we left I’d gotten her phone number from her father in Binghamton. “You know she’s married now,” her dad told me. When we hit the Rockies, it was breathtaking . . . absolutely amazing. We stopped every night to cook dinner, camp out and get high. It seemed we were always a little high during this trip, and there was plenty of cold beer, except when you were driving. 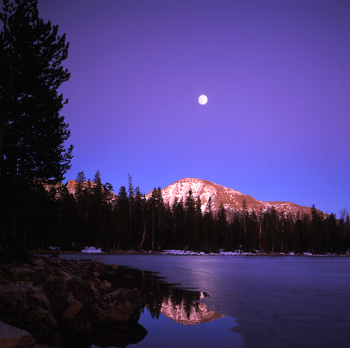 At the end of each night we took turns — one couple stayed in the van, while the other had sleeping bags under a spellbinding night sky. We finally hit the west coast and took a day trip over the border into Tijuana, where we shopped in a sprawling Mexican marketplace. Everything was so inexpensive that we spent all day buying presents. I bought something for Joey and her husband. 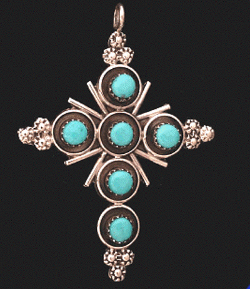 I found a native-looking silver cross with turquoise stones that I thought she might like, and picked-up a hand-crafted leather wallet for him. Taking a southern route back to the east coast, we camped about an hour outside Denver, where Joey lived. I had put off calling her until the last minute, and now I wondered about this surprise visit. I hadn’t spoken with her in years. It was an hour drive. I didn’t know if I’d be intruding. Suddenly this didn’t seem like such a good idea. I kept thinking about it, turning the piece of jewelry I’d bought for her over and over in my hand. That was it. After planning the entire trip to look her up, . . . I didn’t go through with it. Crossing back over the Rockies, we got snowed in. It was the middle of August, but the mountain elevation outside the small town of Buena Vista was something like 12,000 feet, and there was a blizzard going on up there. Eighteen-wheel tractor trailers were spinning off the road. So we turned around and went back to Buena Vista. We spent the night at the Green Parrot Hotel, where Harpo and I almost got into a fight with some townies in the hotel bar. That would have been a mistake. Some of those guys had loaded rifles hanging on the gun racks of their pick-up trucks parked out front. In Albany I began working at The Lark Tavern, and week after week, month after month, I kept putting off that call to Joey . . . until I’d pretty much forgotten about the idea. Then, after eight or nine months in Albany, I came home from work one night to find this letter in my mailbox. The letter was meant for me . . but it had originally been sent “in care of” to my sister in Syracuse, NY. The sender didn’t even have Cindy’s right address. It was her name, but some other address much further down the road. That person recognized Cindy‘s name, drove it up to her, and then Cindy forwarded it to me. The letter was from Joey. She was asking about a piece of jewelry. She explained in a second letter. Joey told me that in the dream someone was holding out a piece of jewelry to her. She couldn’t see the person’s face, but she knew the jewelry was somehow very important. What are the odds . . . Joey having that dream around the same time I was in her area? Coincidence? A dream in which I hold up a silver cross that matches the one I bought for her in Mexico . . . and that I was holding in my hand as I debated dropping in on her? “Where is Joey now,” Colleen asked when I finished telling the story. I think Colleen is right. Well told!! And we really do have to follow-up to find her as soon as we are not so busy! This delightful story was worth the wait. I hope you tell us how your search for Joey is progressing. Your friend Harpo reminds me of my roommate in college. Sounds like crazy times were had by all. Hope you find Joey. What a coincidence with the dream and that silver cross. Strange brew kinda stuff going on there. Harpo sounds like a pisser. A cross country camping trip with two nurses sounds like something to do in your twenties. Those were the good old days, huh? Strange tale about the dream. Good post. Fantastic read. Posting this story was the right decision. Haunting, nostalgic, and awesome. Do look her up. Colleen: Thanks for your help with this one! You always make good points, and your early criticism helped make the post a lot clearer. MasonTD: Harpo was a crazy guy, in his own quiet way. Last I heard he was married to a native girl in Hawaii, and they were raising commercial tulips. Starbucks: Always good to hear from you, Starbucks. Strange brew, indeed, on this one. Jeanne: Thanks, . . . and welcome aboard! Case: Good to see you again, bro . . . and as always thanks for commenting. Cheryl: Thanks so much for the kind words, Cheryl! “Fantastic read?” Thank you, thank you. Michael Fisher: Welcome aboard to you, too, Michael. Colleen and I were talking earlier tonight . . . how to go about finding Joey. Hard to understand, looking back, how we lose touch with important people from different periods in our lives.